If you have a gun collection, your estate plan may be missing the mark if it fails to include a specially drafted gun trust. The typical estate plan provides for tax saving strategies, probate avoidance and beneficiary designation of various assets. However, some assets pose additional issues that must be carefully addressed to avoid unintended consequences in the future. Firearms, in particular, are regulated under federal and state laws and demand careful attention from your estate planning attorney. Your gun collection may include weapons used for sport, self-defense or investment purposes. 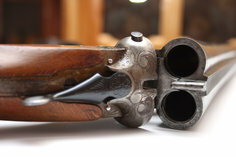 America’s long history with firearms means your collection may include family heirlooms that have been passed down from generation to generation. Unlike simple bank account, real property or vehicle ownership changes, transfers of many firearms and accessories are restricted and subject to very specific requirements. For example, under Title II of the National Firearms Act (NFA), the transfer of short-barreled shotguns and rifles, silencers, automatic weapons and certain other “destructive devices” require the approval of your local Chief Law Enforcement Officer (CLEO) and a federal tax stamp. To keep your gun collection in your family, you must ensure that all transfers comply with the National Firearms Act, as well as state laws where you and your beneficiaries reside. So how do you ensure your firearms seamlessly transfer to your loved ones after you pass on? By establishing a revocable living “gun trust,” which holds only your firearm collection, you can retain ownership and control of your collection during your lifetime while providing for the disposition of your guns to your intended beneficiaries. During your lifetime, you remain the trustee and beneficiary of the gun trust, and appoint a successor trustee and lifetime and remainder beneficiaries. Because the trust is revocable, you are free to make changes or revoke it at any time. As with most living trusts, a gun trust enables you to provide detailed instructions regarding the disposition of your assets upon your death. But given the unique challenges associated with transferring firearm ownership, your gun trust is most valuable in helping expedite the transfer of a firearm that is restricted under the National Firearms Act. If you use a gun trust to own and transfer Title II firearms, you are not required to obtain the approval of your local CLEO; the transfer application may be sent directly to the Bureau of Alcohol, Tobacco and Firearms. NFA-restricted firearms are not permitted to be transported or handled by any other individual unless the registered owner is present – which can present a problem if the registered owner is deceased. However, when owned by a properly drafted gun trust, these weapons may be legally possessed by the trustee, and any beneficiary may use the firearm under the authority of, or in the presence of, the trustee. This greatly simplifies and expedites the transfer, and saves your beneficiaries from any unintended violations of the National Firearms Act – which can result in steep fines, prison, and forfeiture of all rights to possess or own firearms in the future. Gun dealers often make trust forms available, but these boilerplate documents typically fail to specifically address the ownership of firearms. A properly drafted gun trust will include guidance or limitations for the successor trustee, to ensure he or she does not inadvertently commit a felony when owning, using or transferring the weapons.